Hosting a Christmas party or cookie exchange? 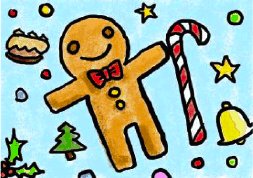 This printable invitation with a gingerbread boy, candy cane, and other treats is perfect. The card is small (quarter-fold) in size.